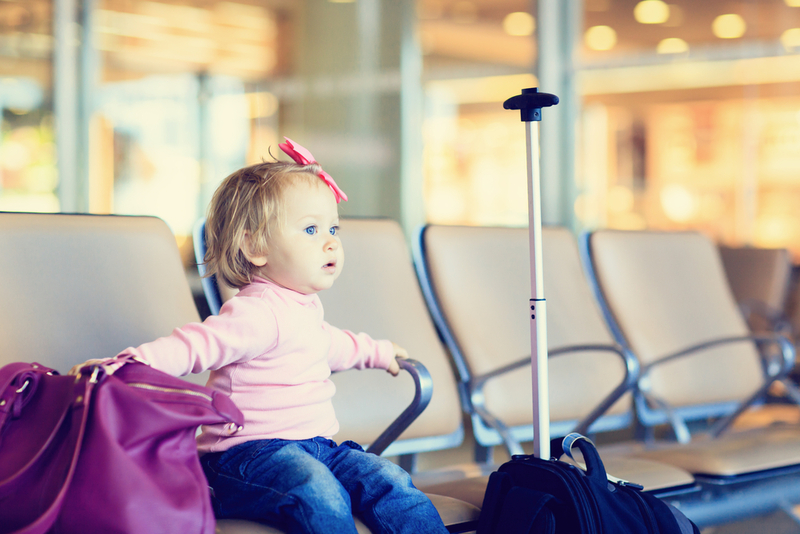 So you’ve booked that holiday, that very special one, your toddlers first! Exciting, daunting, worrying, all rolled into one. And that’s just the part of getting the child through the airport! But seriously, it can and should be done. I promise! 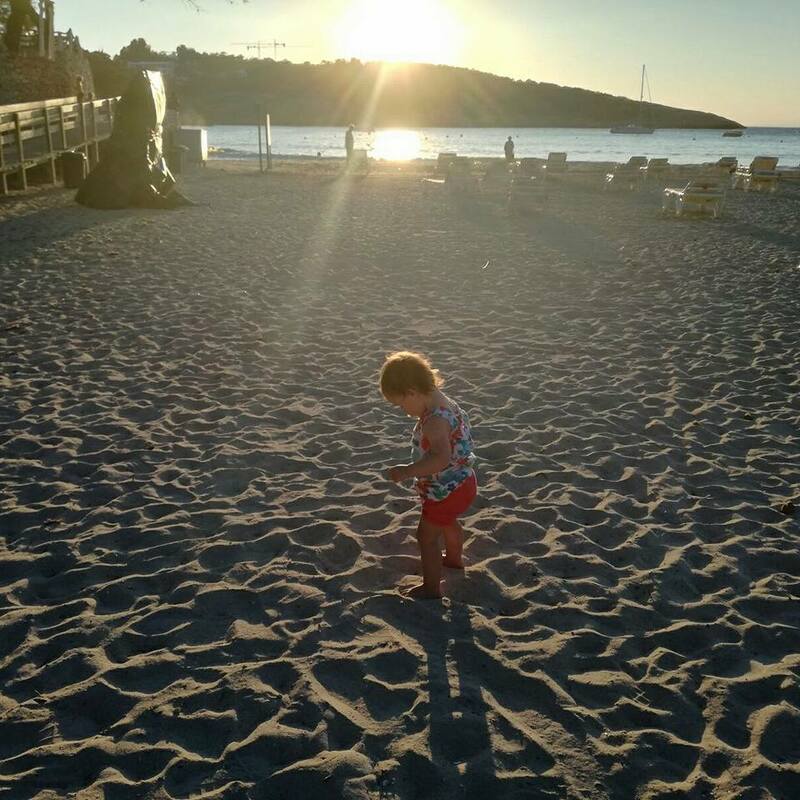 She absolutely thrived on the sunshine, sand between her toes, new languages surrounding her, and of course experimenting with a new food or two! It really is a humbling experience to watch your little one travel all those miles, experiencing new ways of life, these little attributes hold so much education seen through the innocent new eyes of a child. So how do we go about this epic first journey? Love them or hate them, lists are the way to go! What bag will you bring for your little one? We opted for a cute little princess-roller bag. I think most of us find that actual “getting through the airport” part the most daunting, even before the actual plane journey. The thing you need to remember most here is to think simple, think smart! Getting through the airport was thankfully a breeze for us, preparation was the key! Liquids, gels, aerosols, the golden words. Well ok, your toddler won’t need a spritz of deodorant or hairspray anytime soon so scrap that, but liquids – ding ding! 1. A beaker of milk, and a beaker of water. You are allowed to bring milk/formula or water, so long as you put it into a beaker/bottle (powder is fine as it is) but keep in mind that this changes from time to time depending on the airport security. Save the hassle and don’t bring that bottled water you just bought in the shop this morning. Also remember, it’s better to bring enough for your journey ie. from when you leave your house, to when you arrive at your destination. This is, of course, more suited to the toddler rather than a baby, in that case, bring as much formula as you need, it’ll just need to be tested if in liquid form! 2. Snacks – any dry snacks are the best, cheerios, crackers, raisins, basically, anything that isn’t a liquid/won’t melt into one! 3. Full change of clothes, nappies, wipes, nappy bags, again enough for your journey. 4. Toys/Entertainment – think new! Any child’s eyes will light up with glee seeing something new. I brought a mini scribble pad, a slinky, good old fashioned stickers which were a big hit. Also a tablet with her very own headphones, however, we were lucky enough that she slept through the whole journey but fail to prepare, prepare to fail! 5. Pain relief – It’s important to have something to hand for any possible ear pain/teething pain. 6. Blanket – something that is familiar, and a comfort away from home, can also be anything your child finds a comfort! Remember when you are getting through security, you will need to take out any liquids/medicine, and if in doubt, take it out. There’s no shame in asking the staff to help you out when you arrive if you’re unsure, we all just want to get through as smoothly a possible! Happy holidays to all of you heading away this summer, enjoy it and embrace it, for these are the special memories you make. Next postParent Shaming: why do we do it?